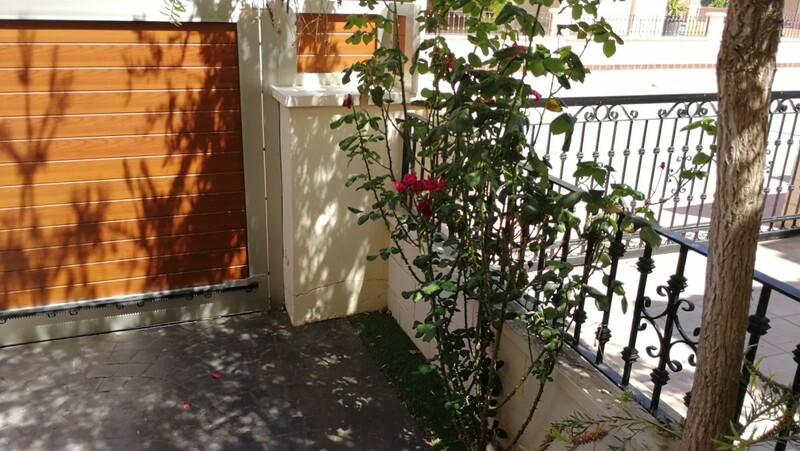 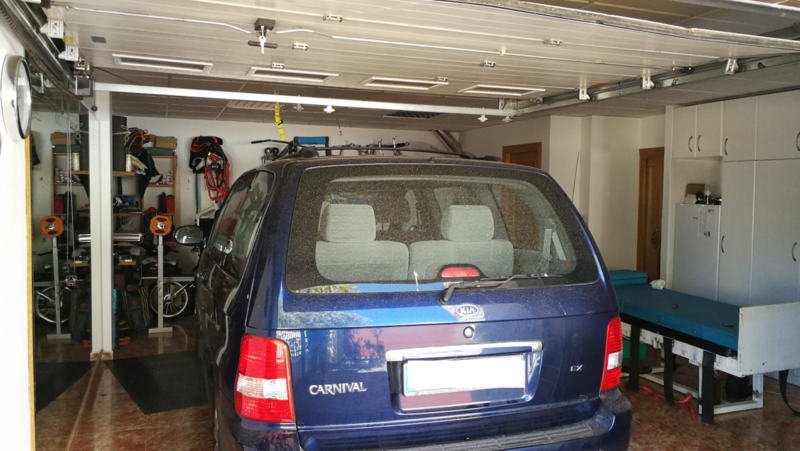 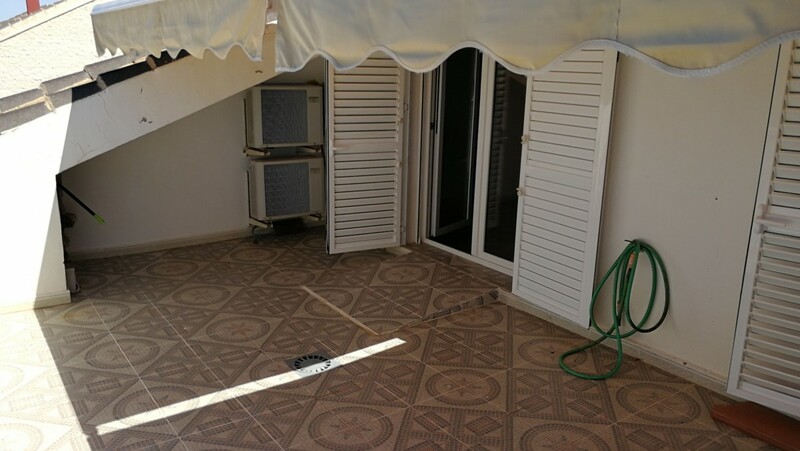 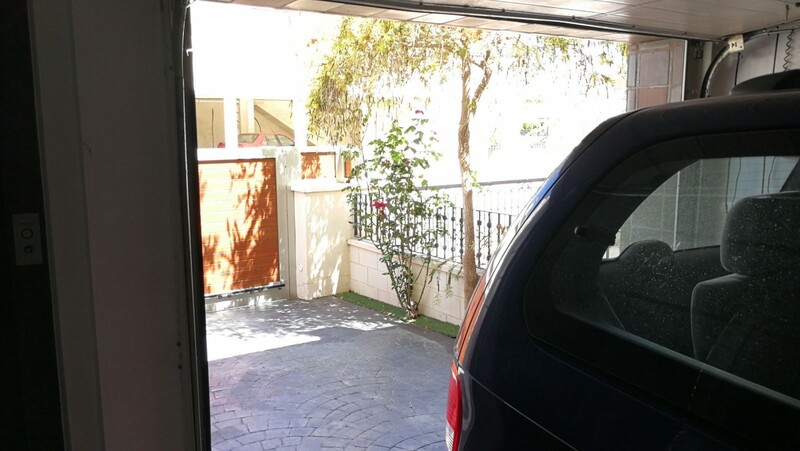 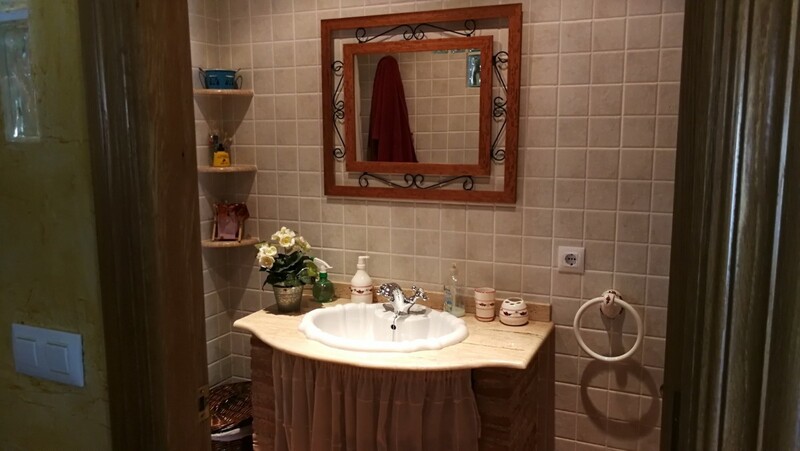 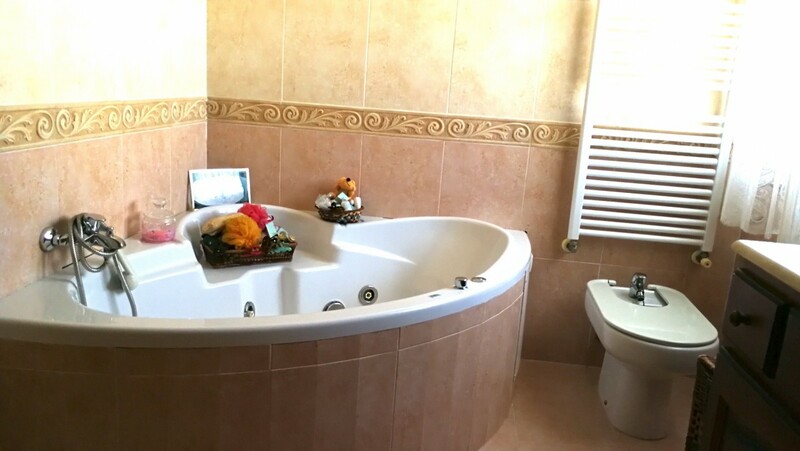 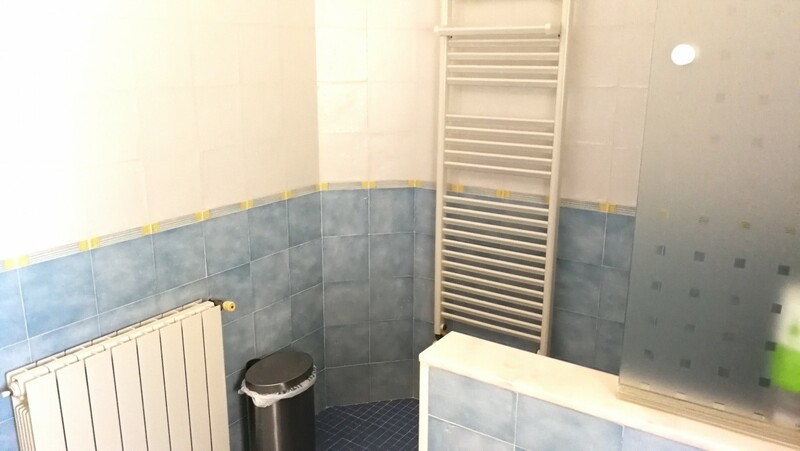 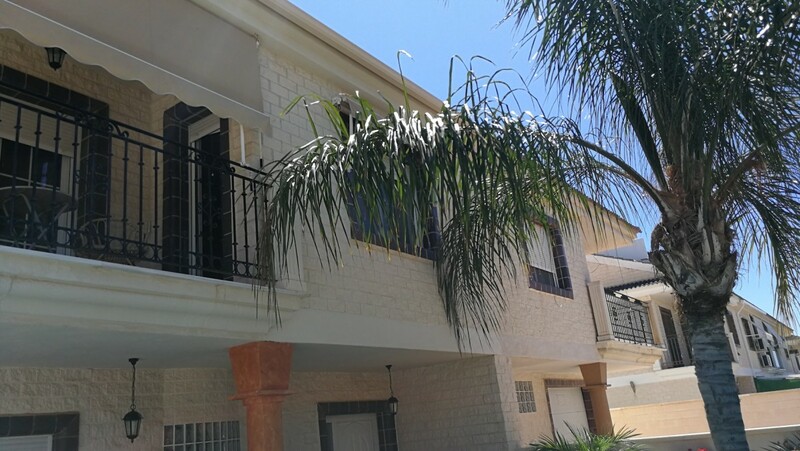 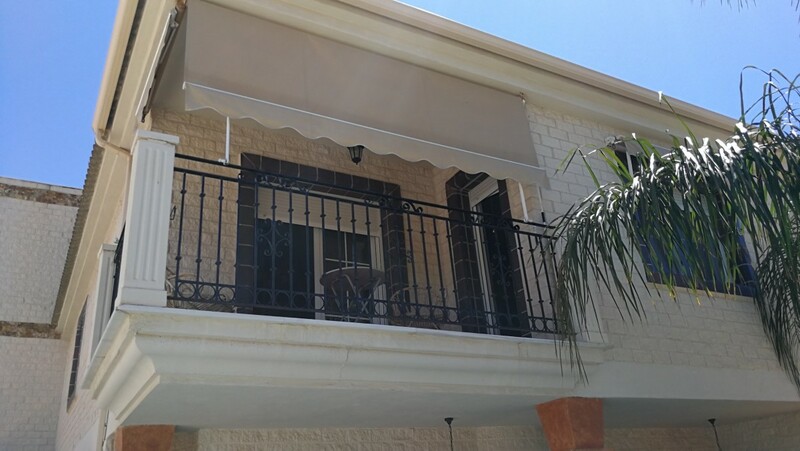 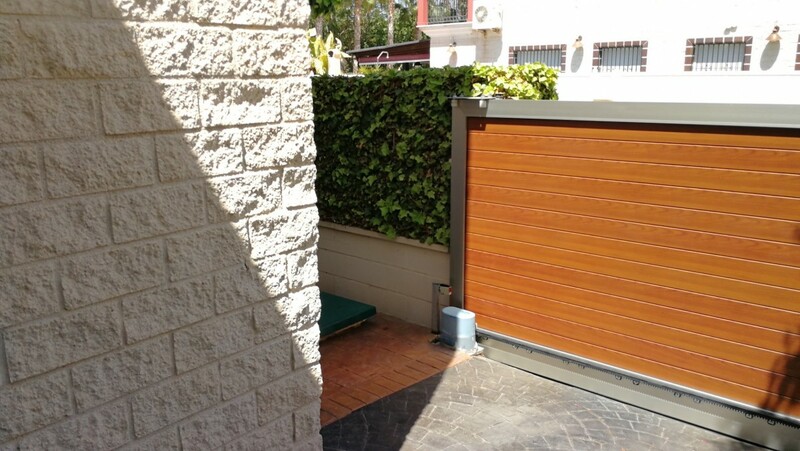 Beautiful 3 bedroom (possibility to make 4) – 3 bathroom corner town house with private swimming pool in a quite neighbourhood. 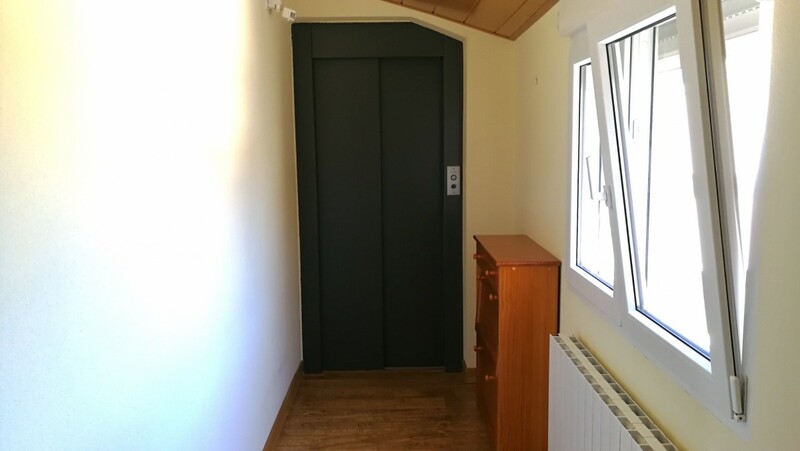 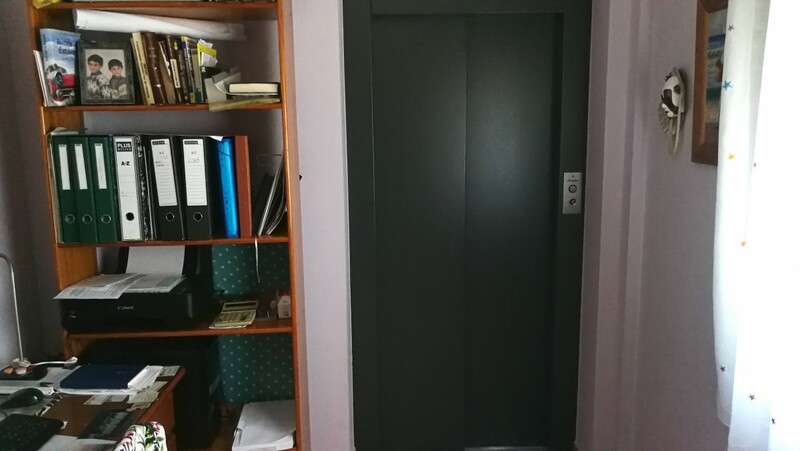 This 3 storey town house that has been adapted for wheelchair users (elevator). 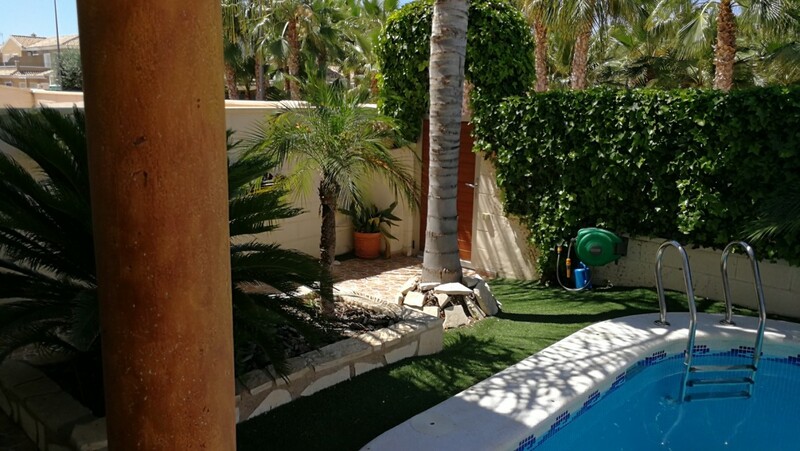 The house has 3 smaller terrasses, and one beautiful terras (130 m2) on the ground floor with the swimming pool. 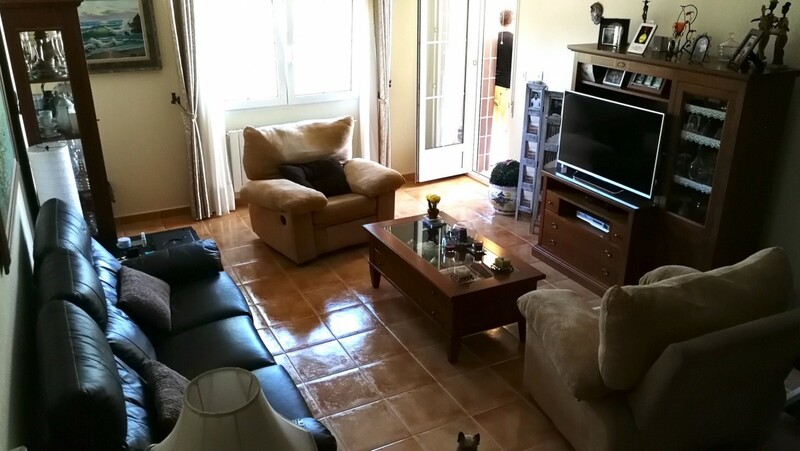 It also has 2 living rooms, a big kitchen, and a huge garage that can easily be transformed into extra rooms. 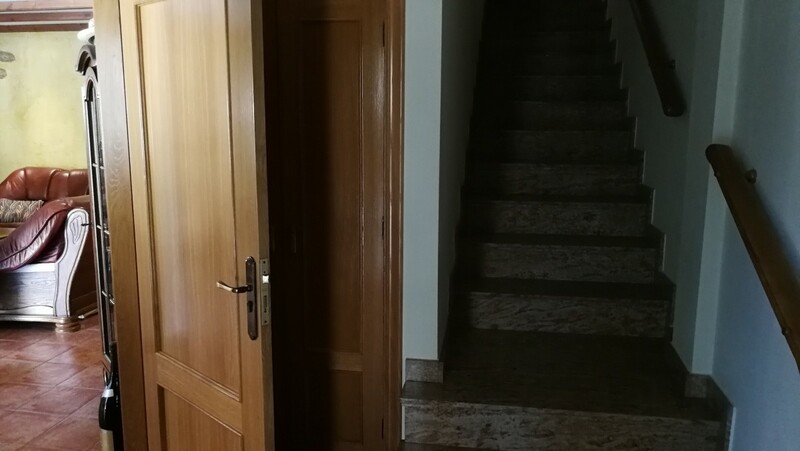 All the closets and doors are made of oak. 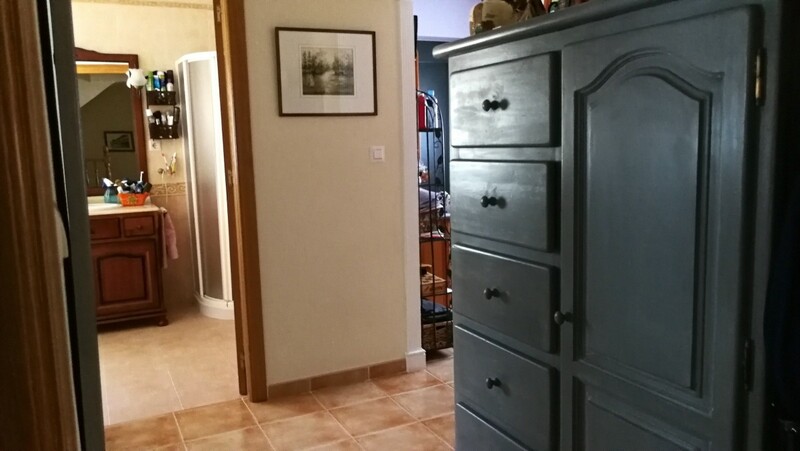 Windows are double insulated. 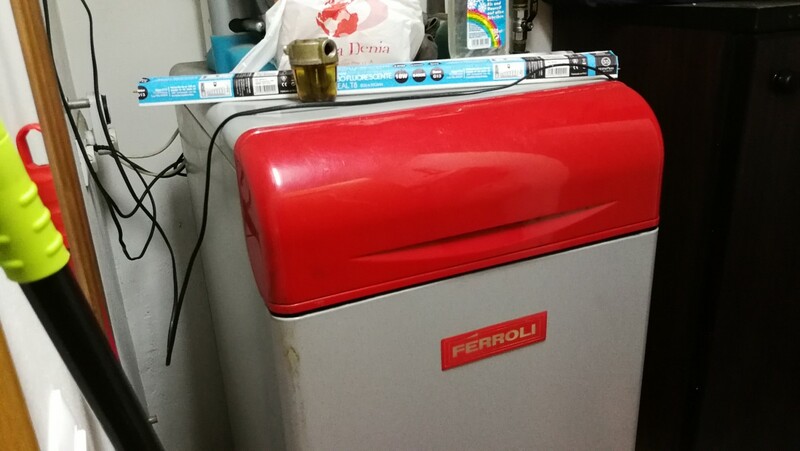 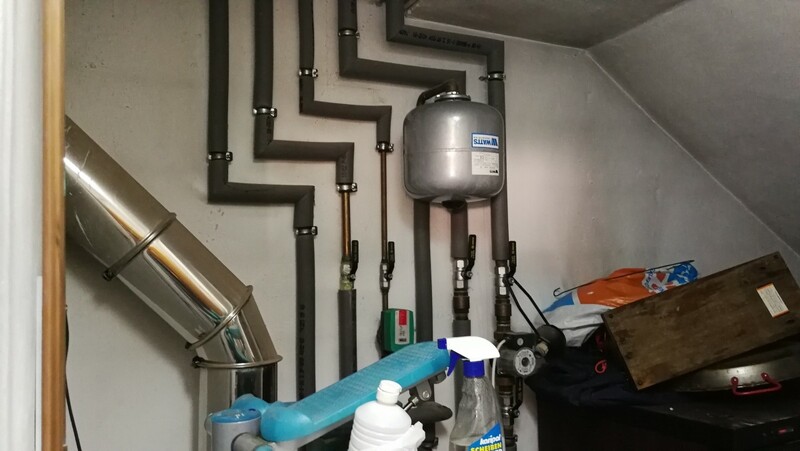 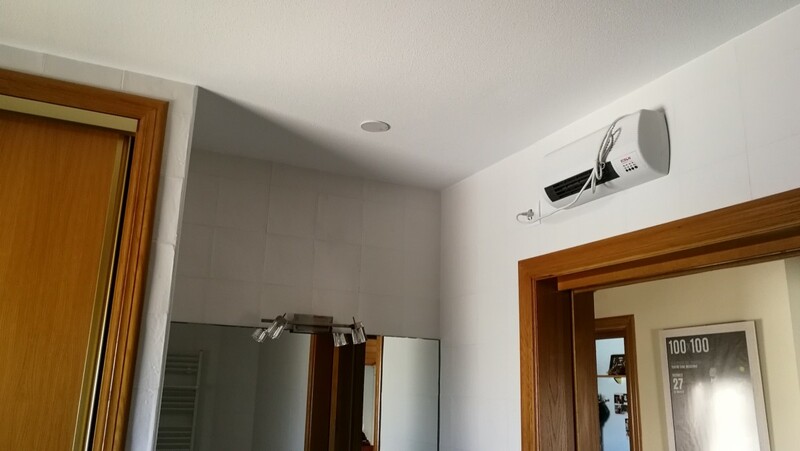 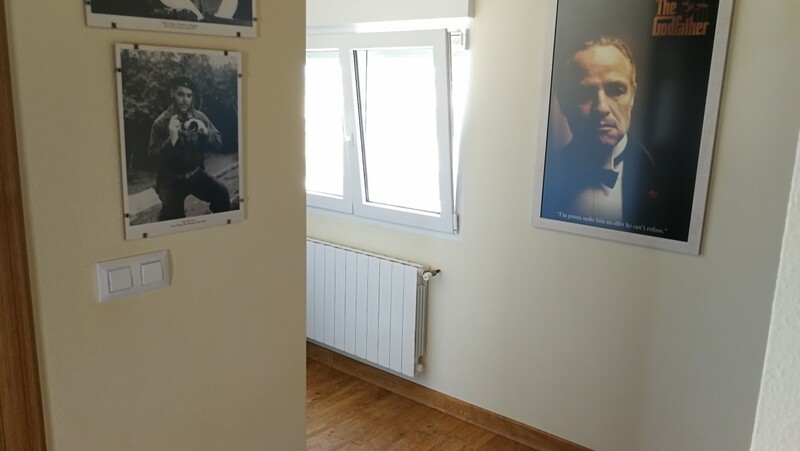 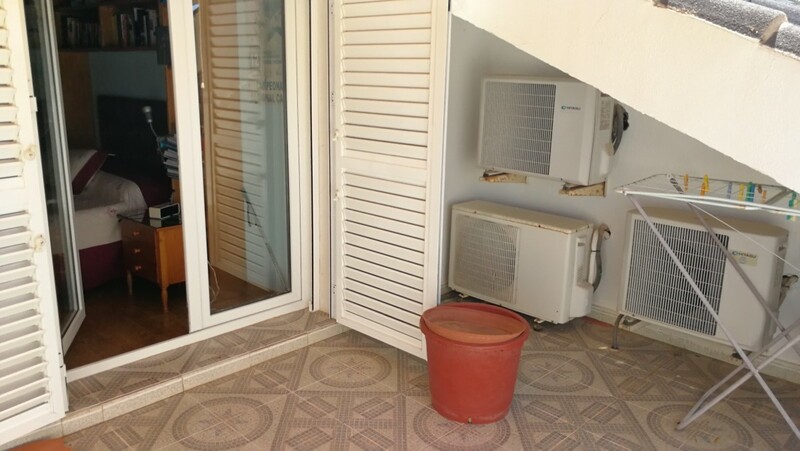 The house is fully equipped with central heating (oil). 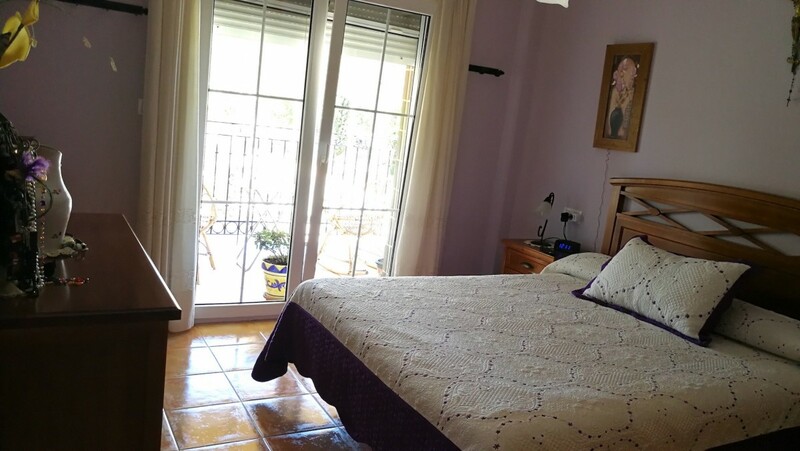 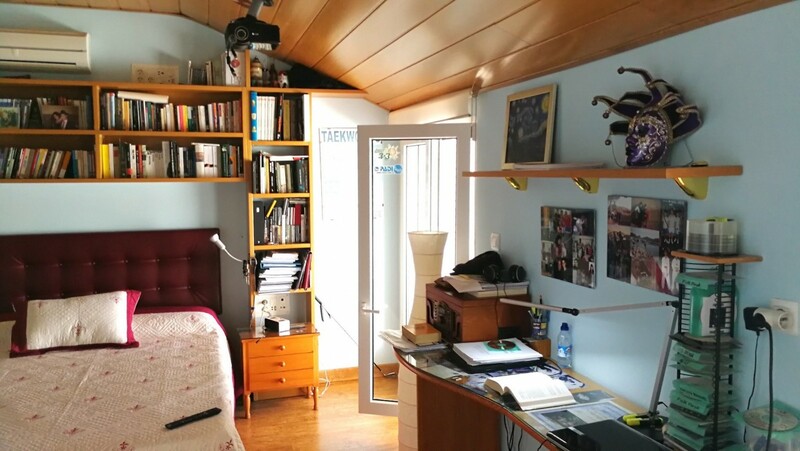 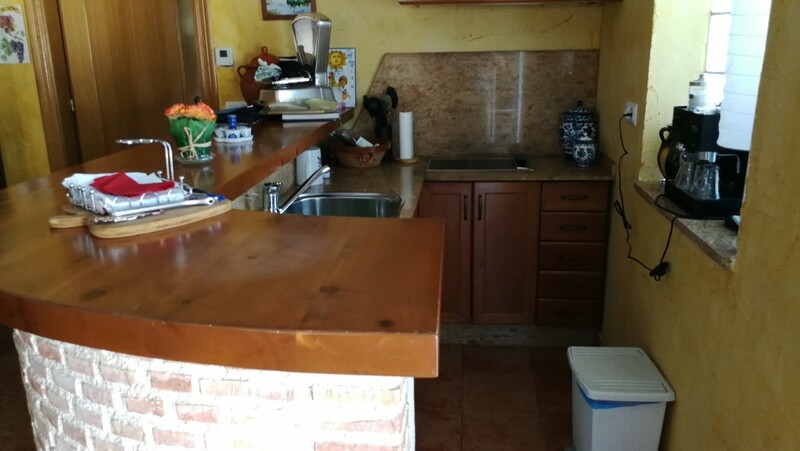 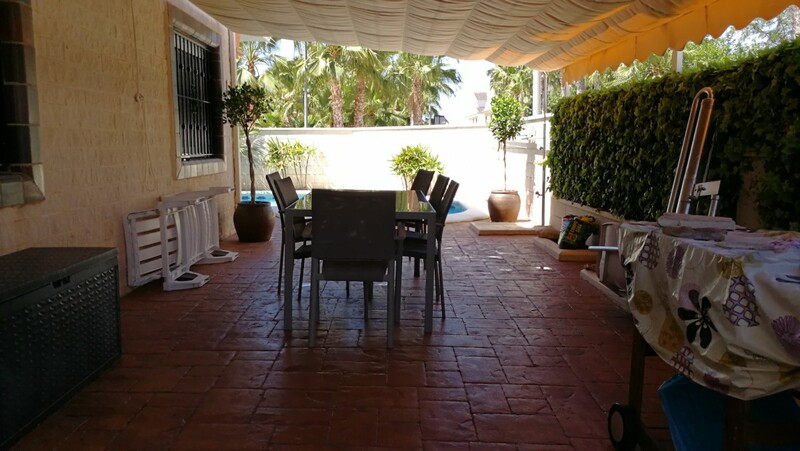 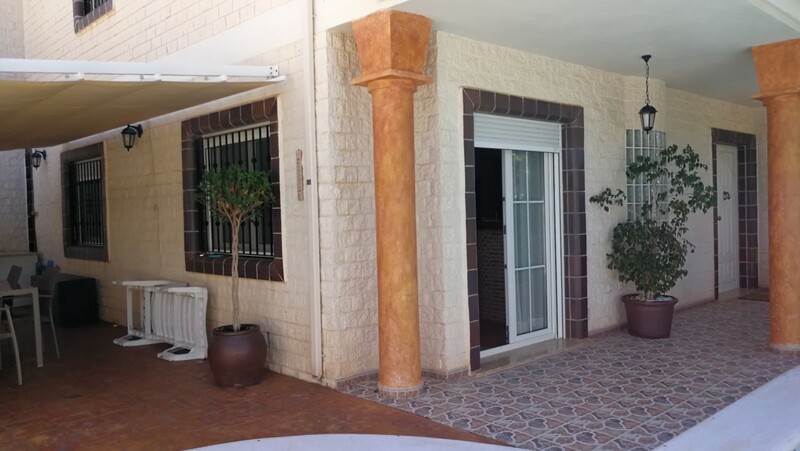 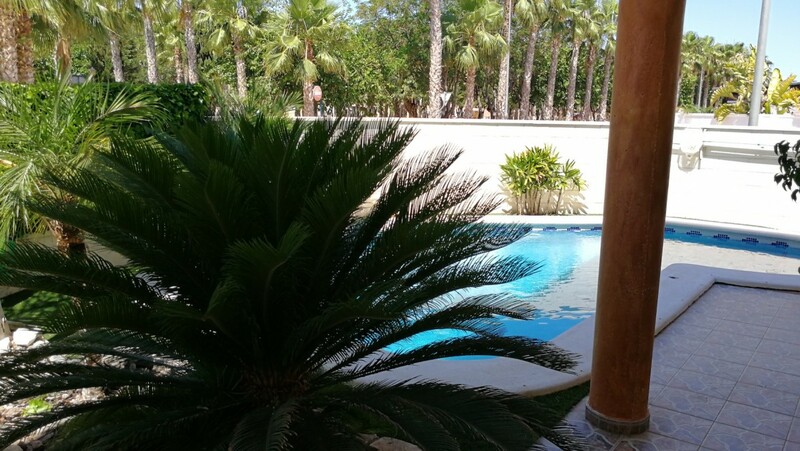 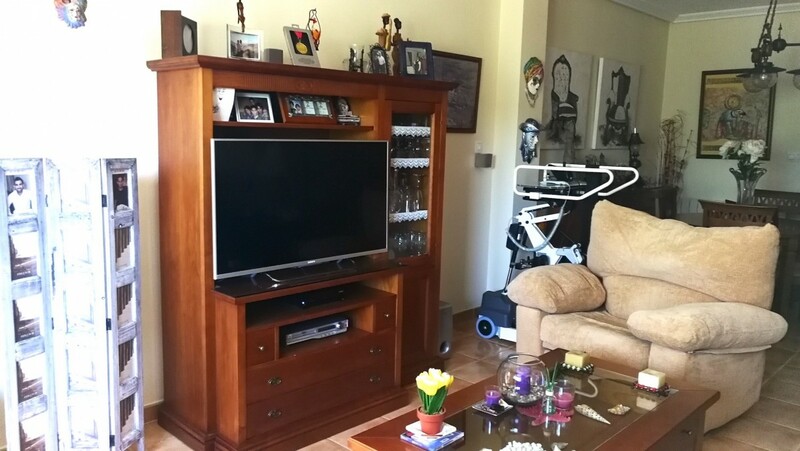 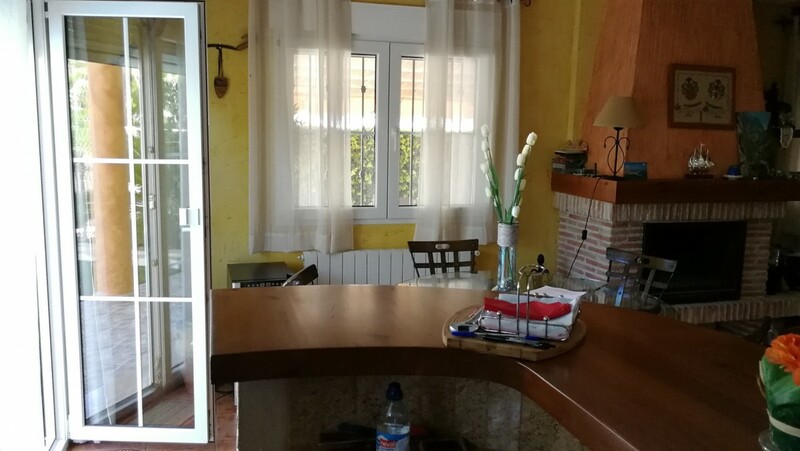 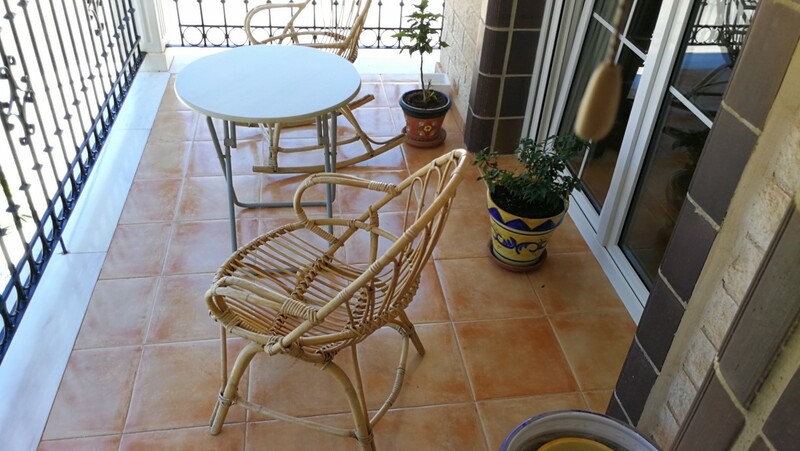 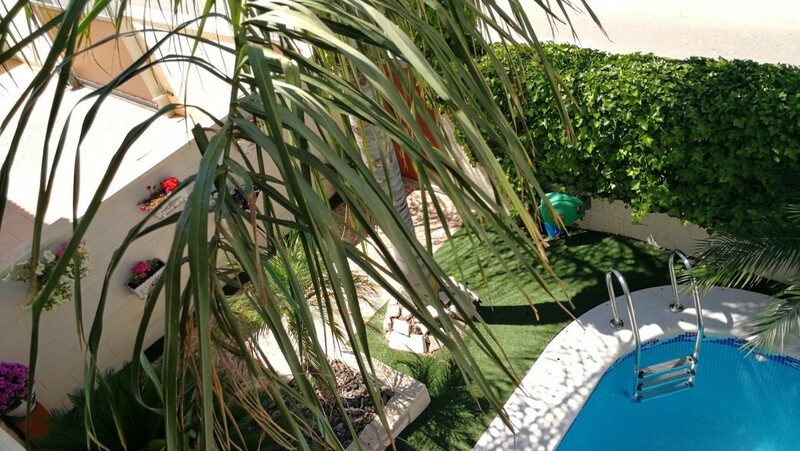 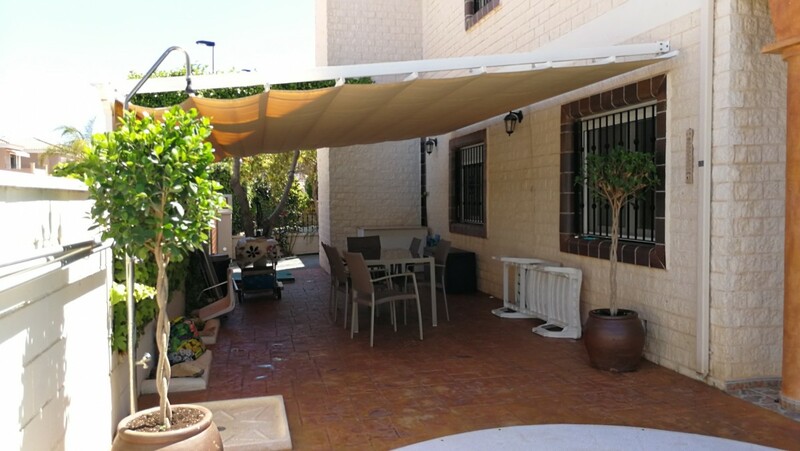 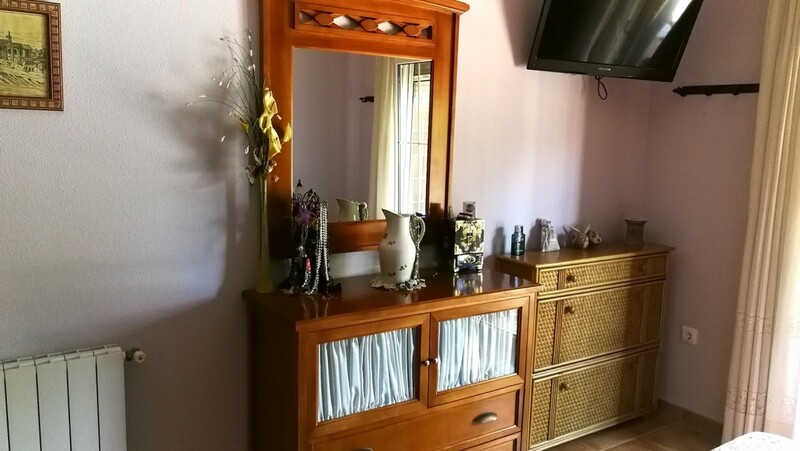 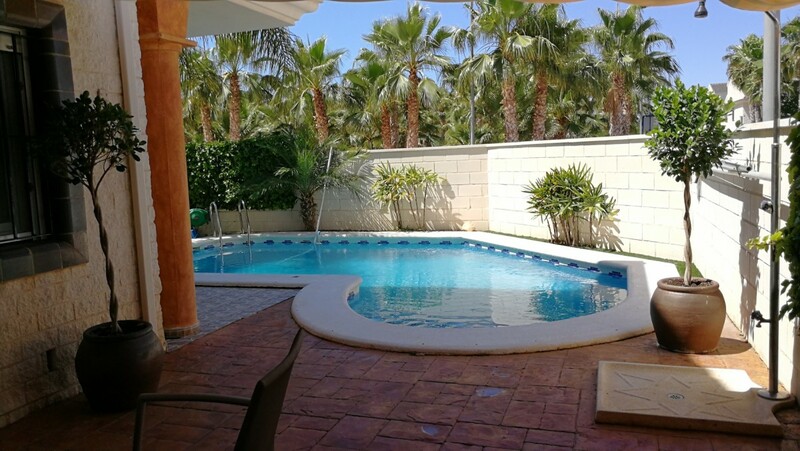 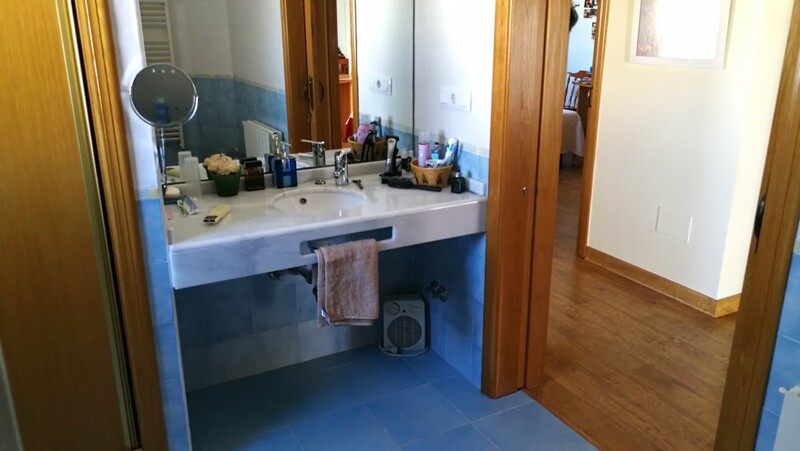 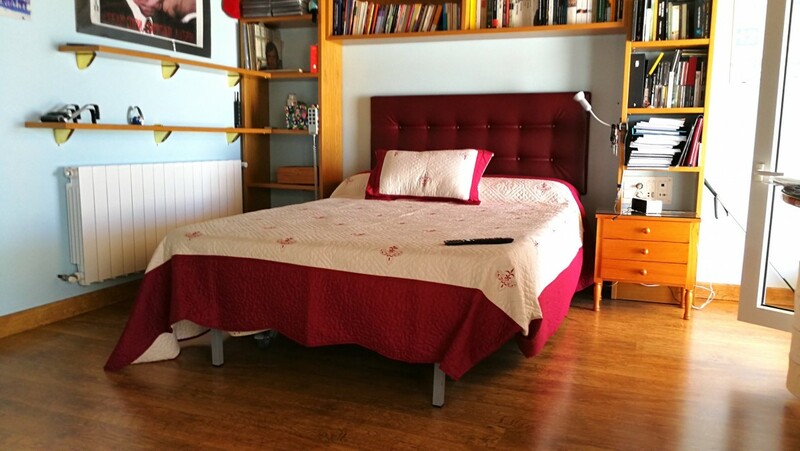 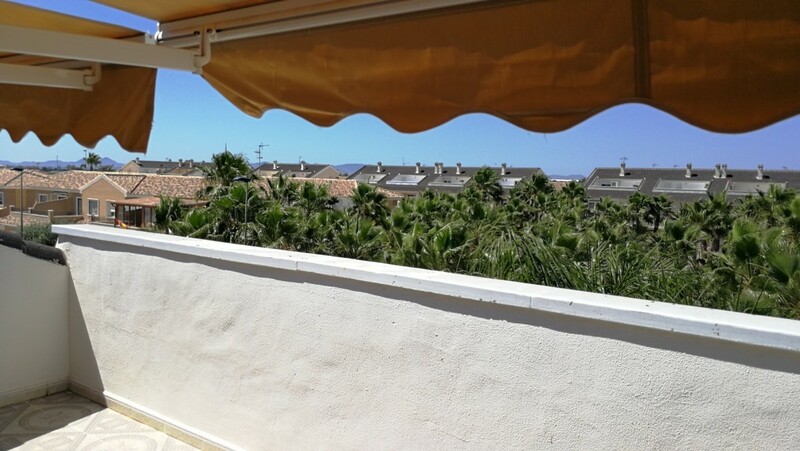 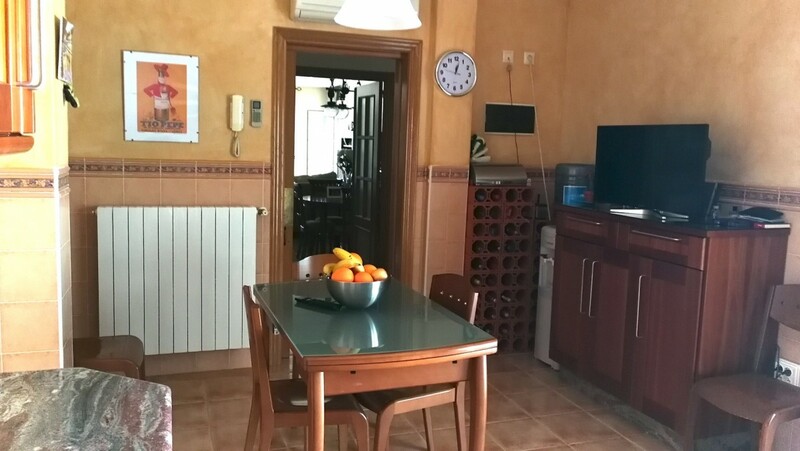 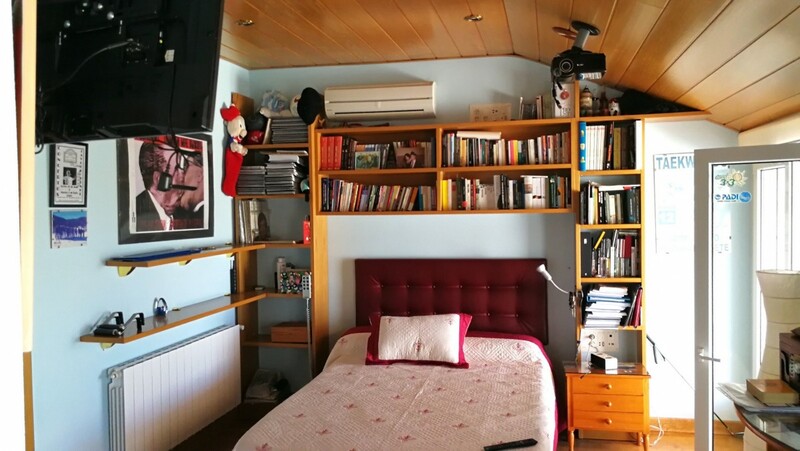 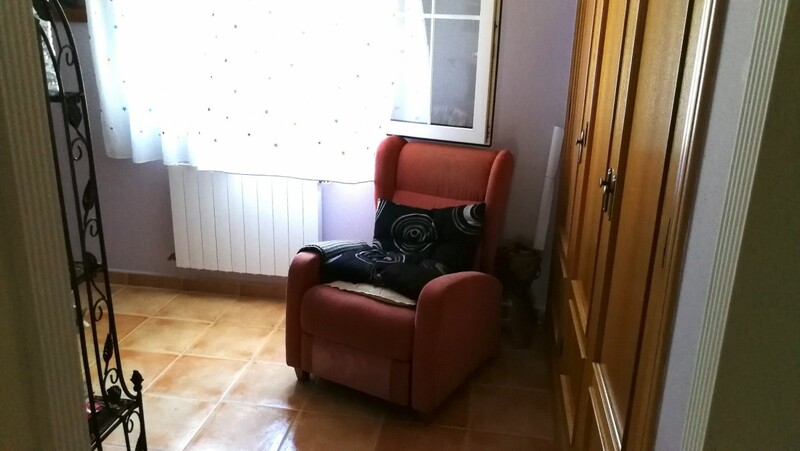 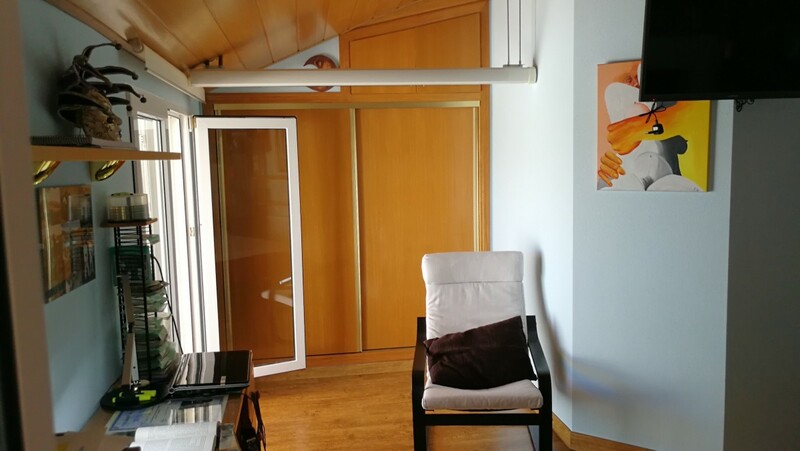 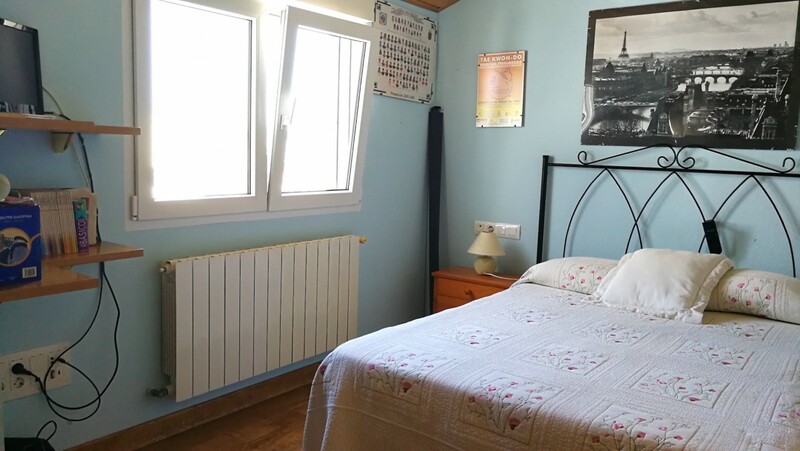 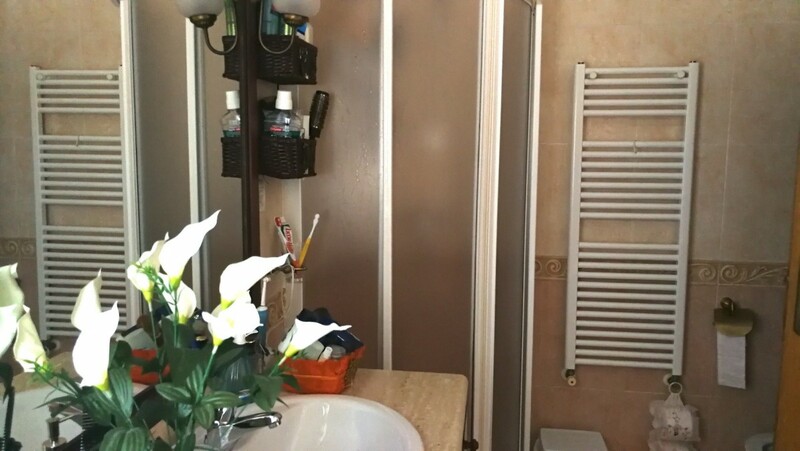 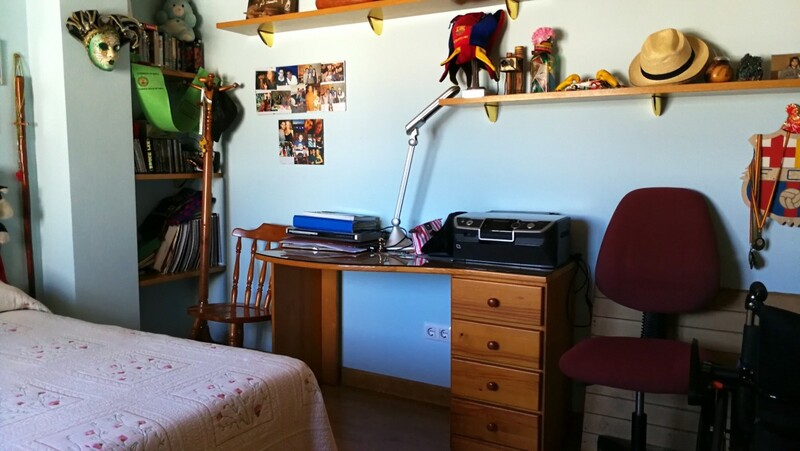 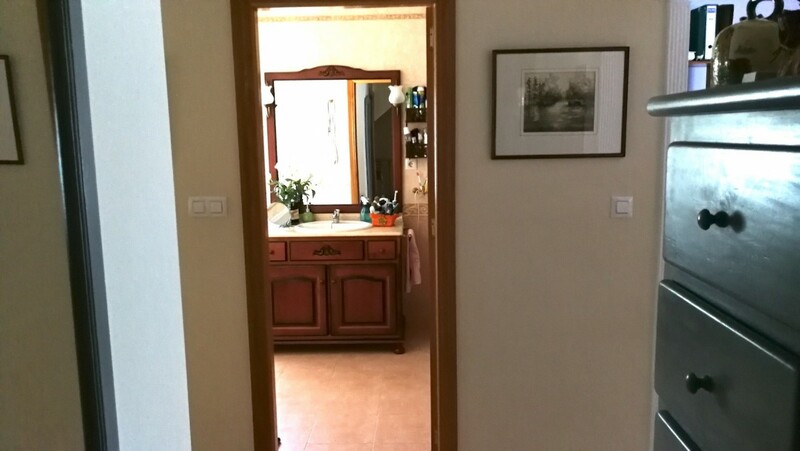 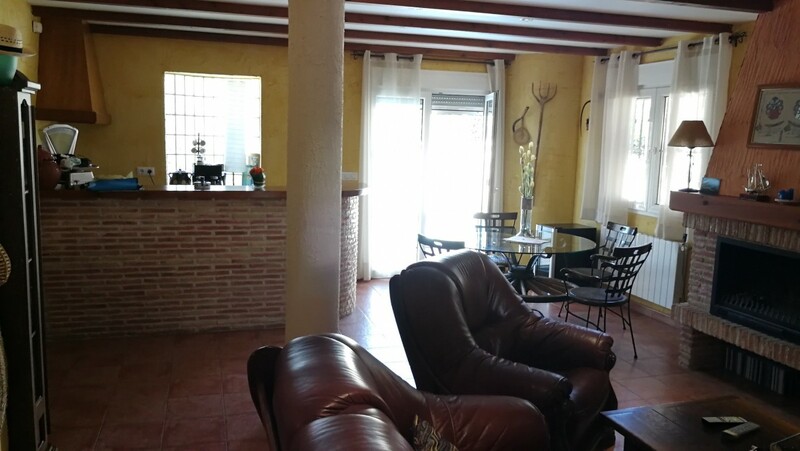 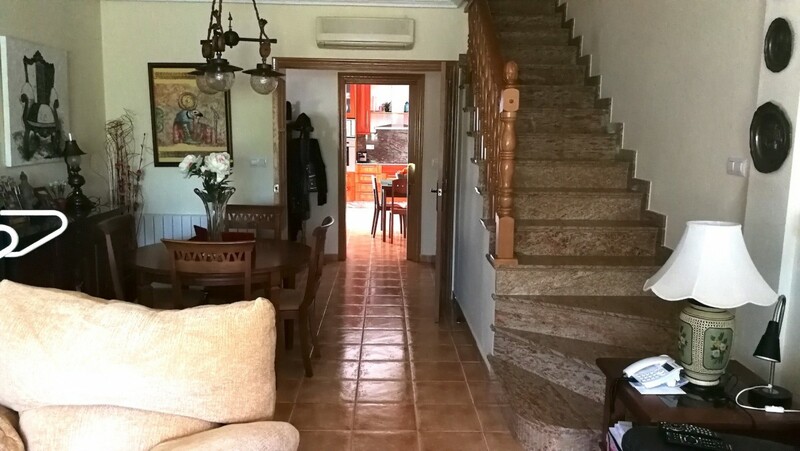 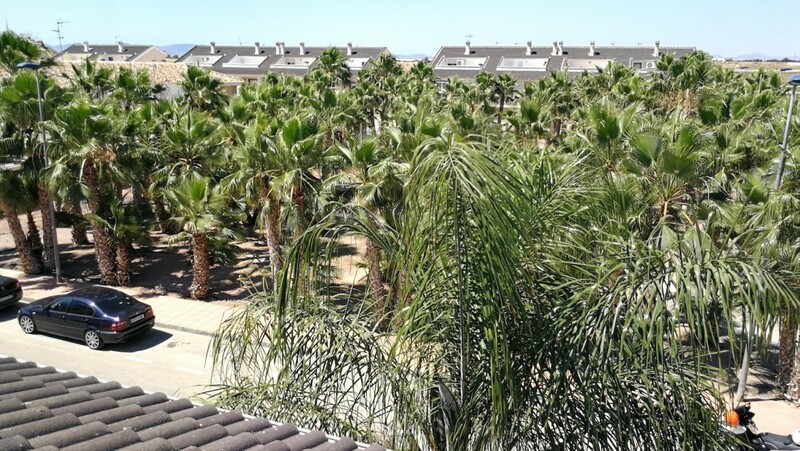 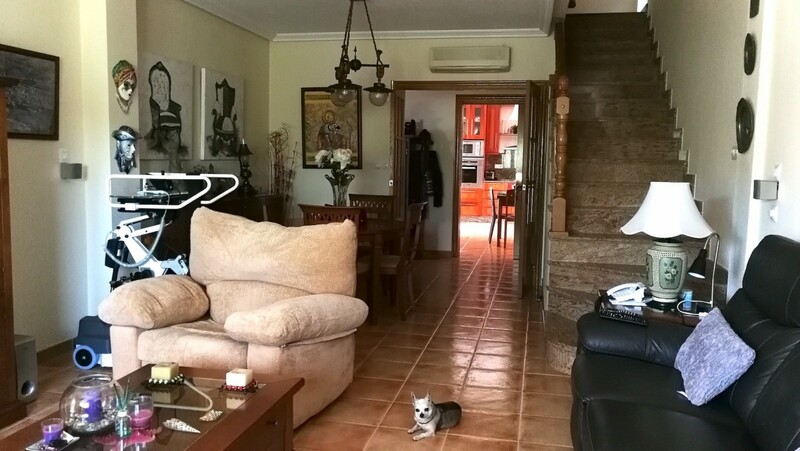 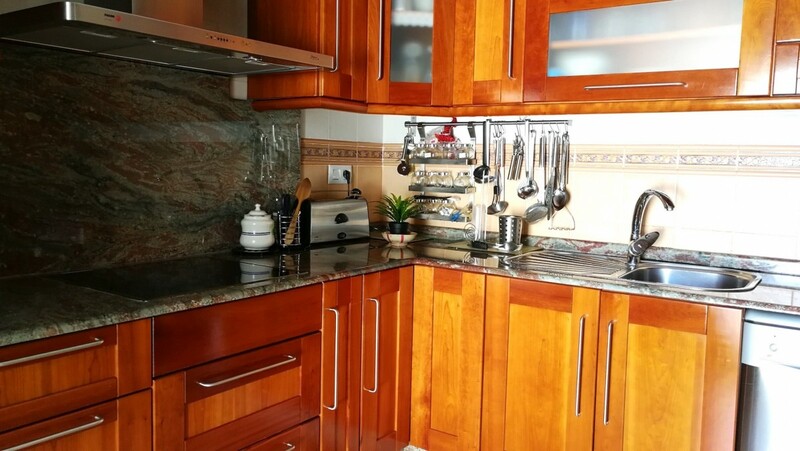 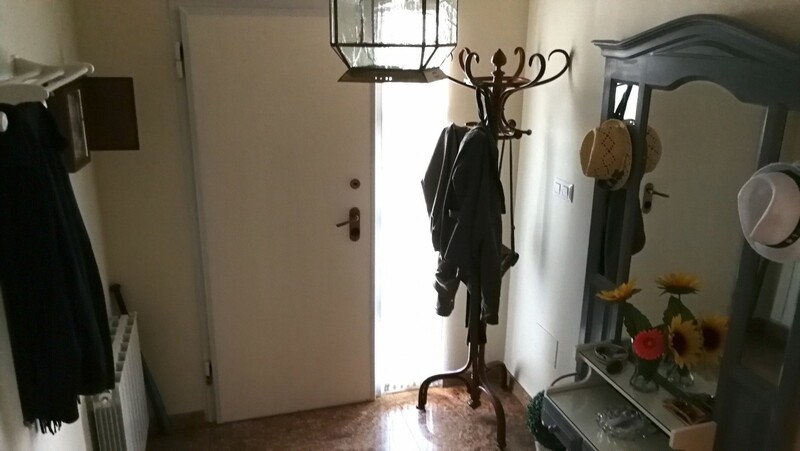 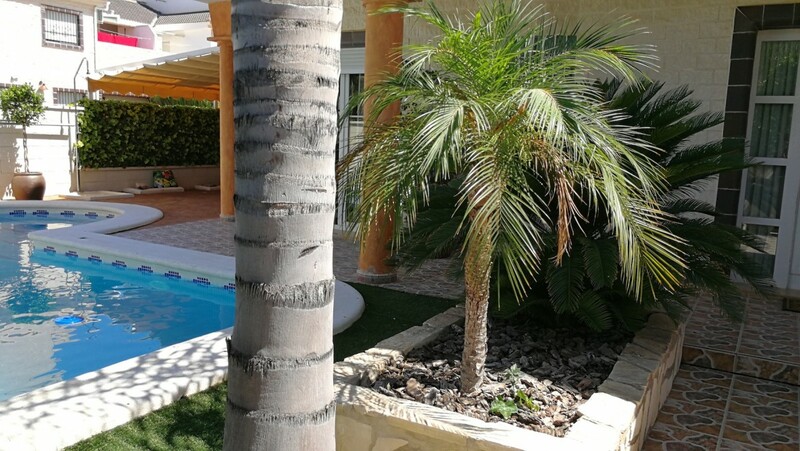 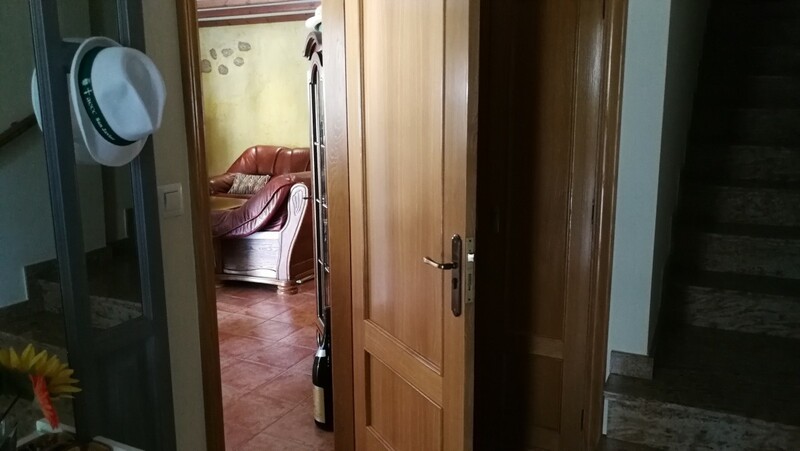 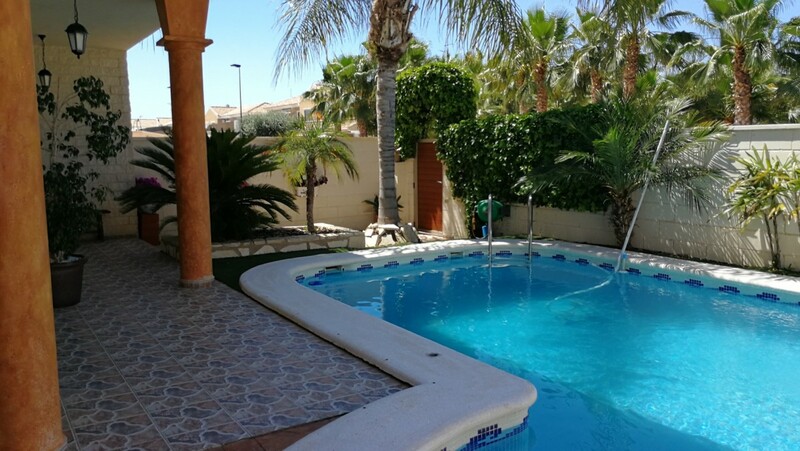 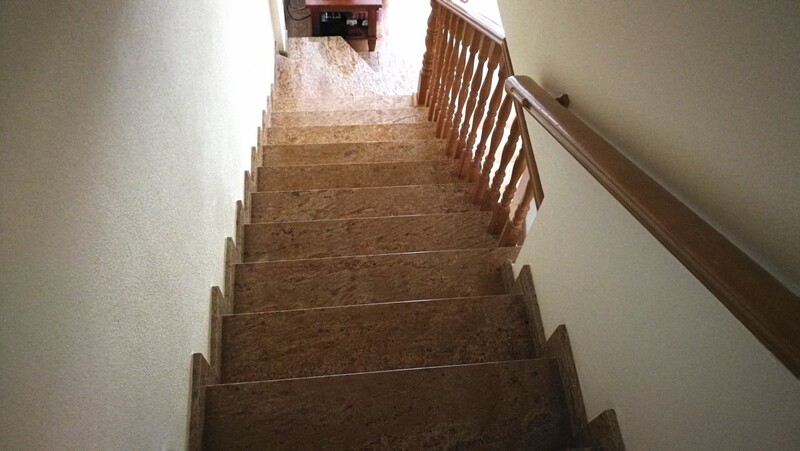 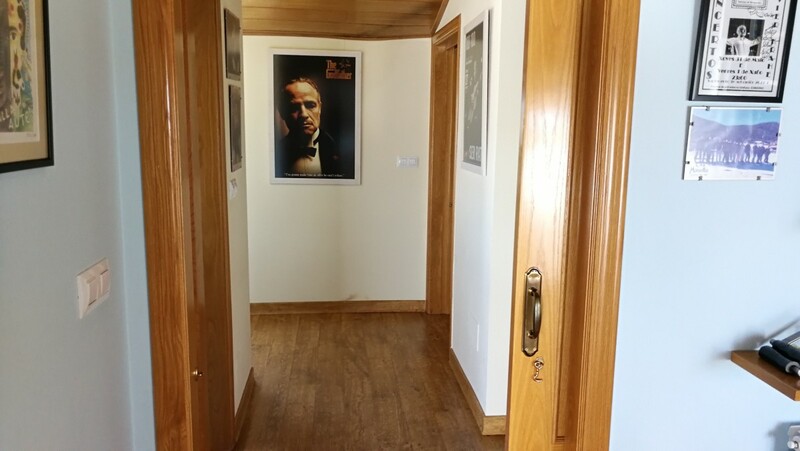 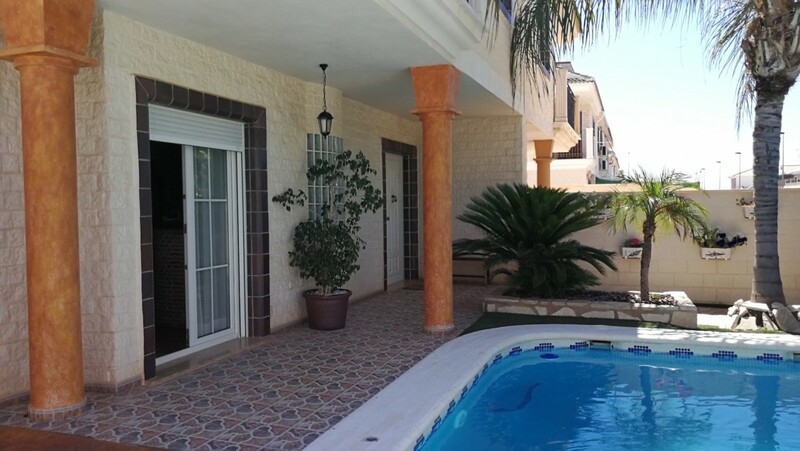 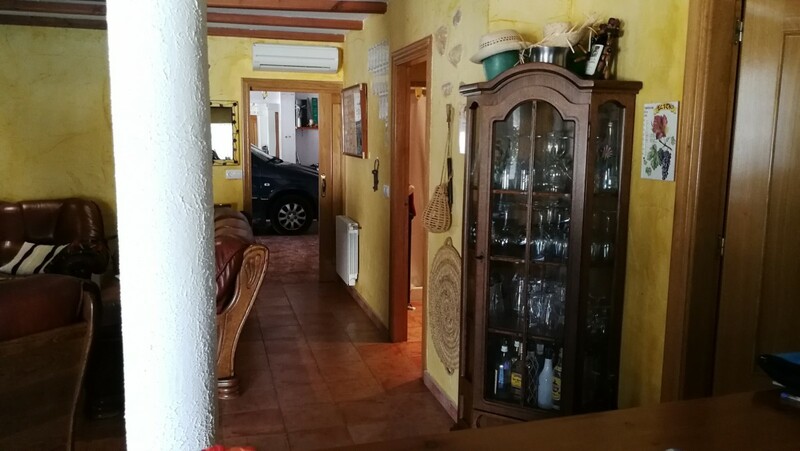 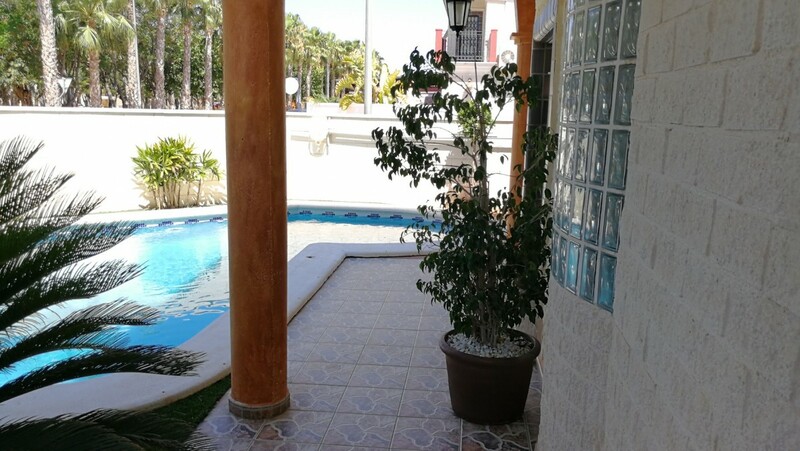 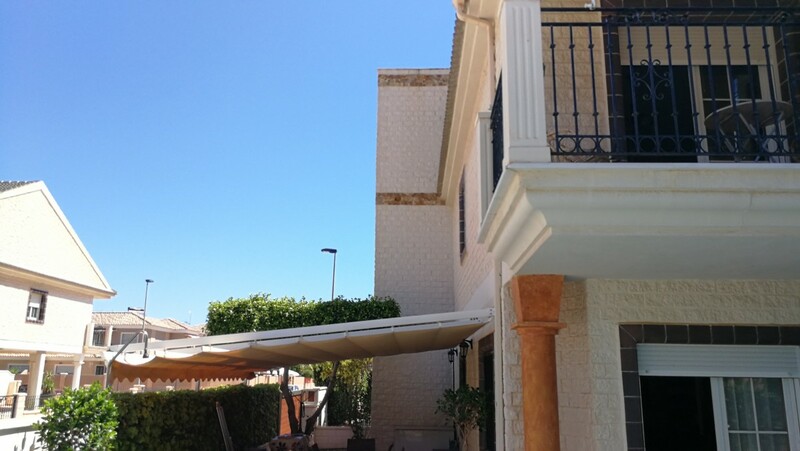 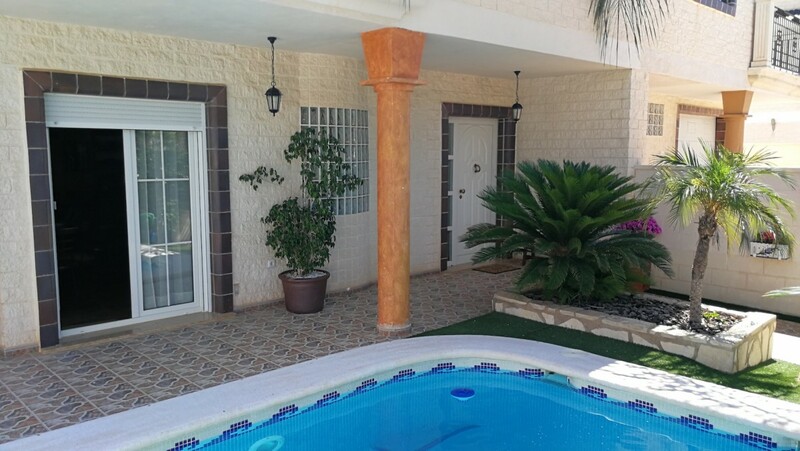 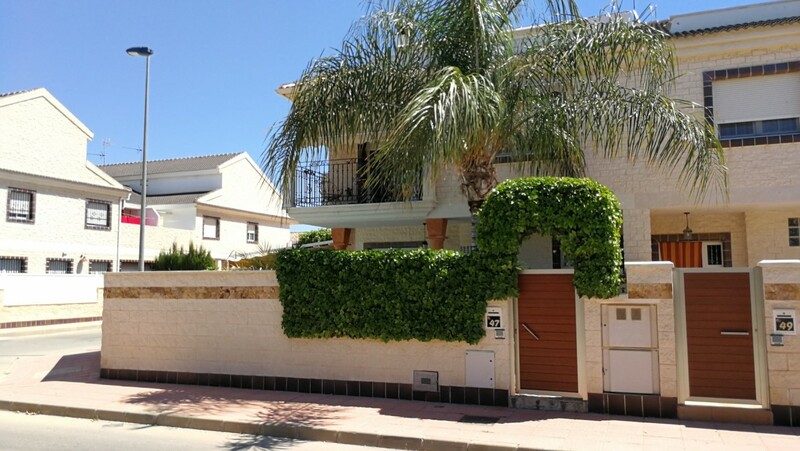 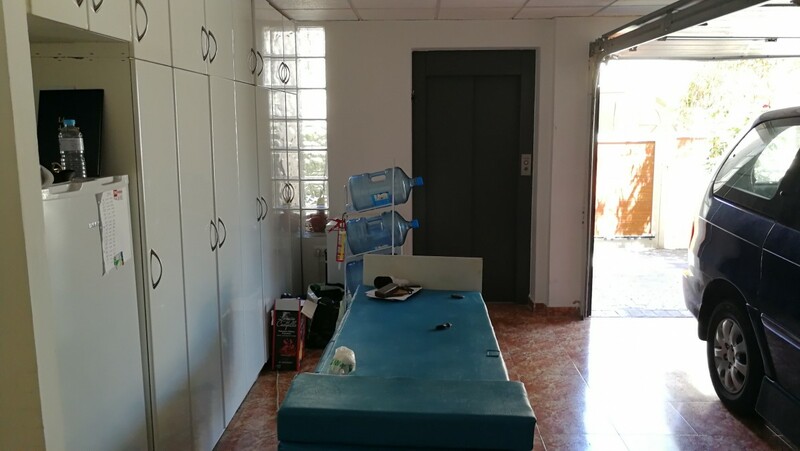 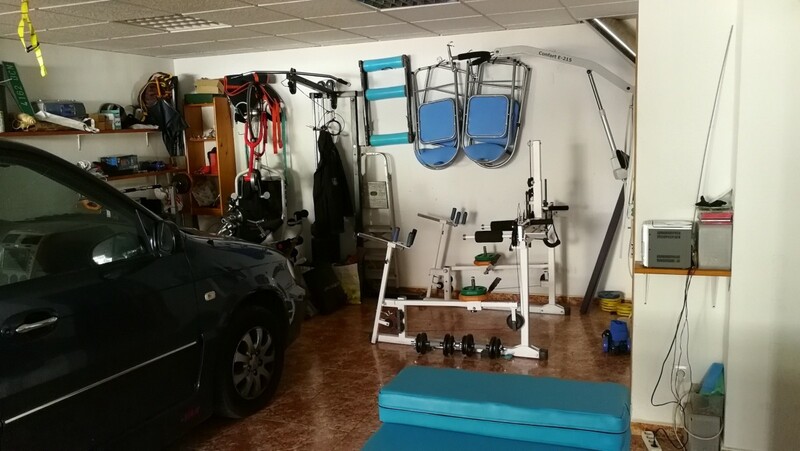 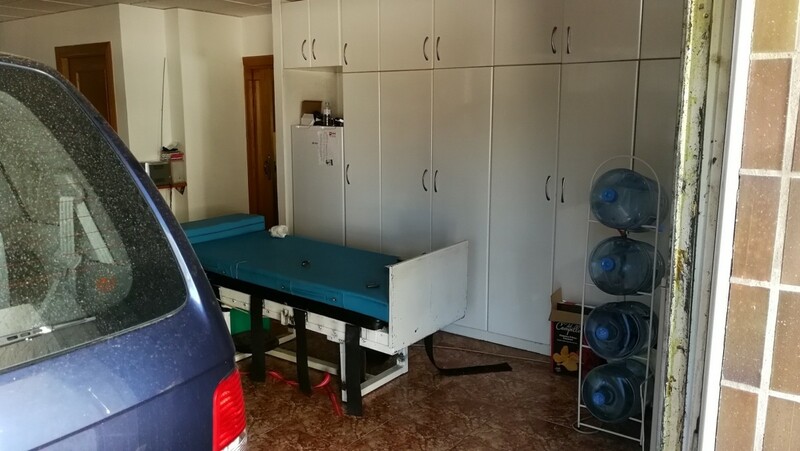 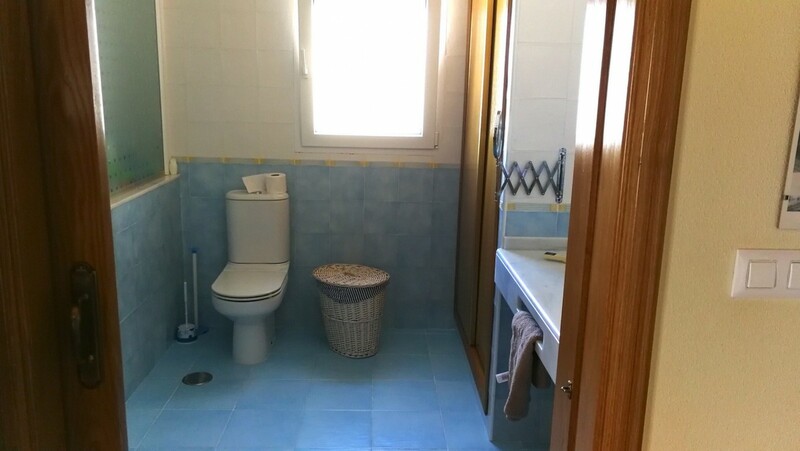 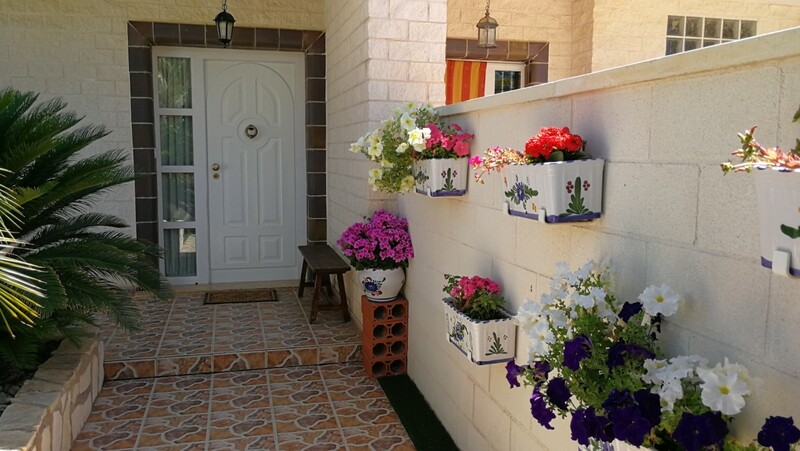 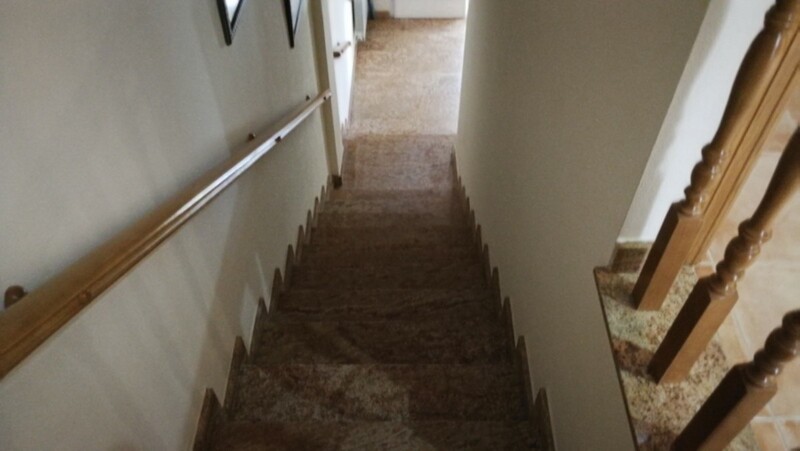 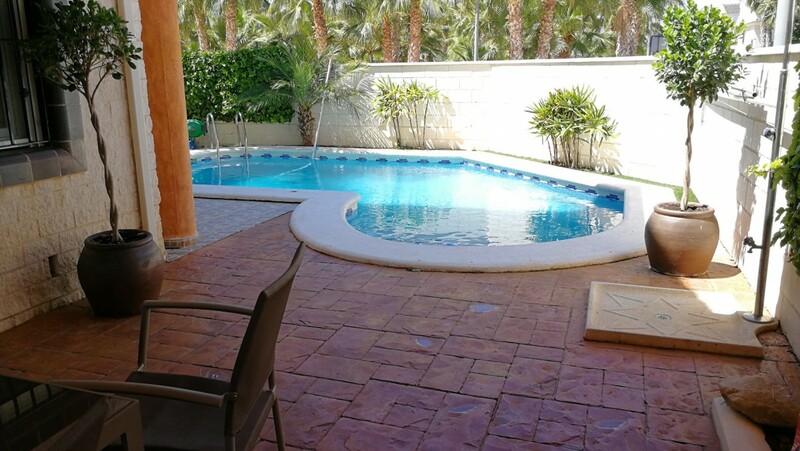 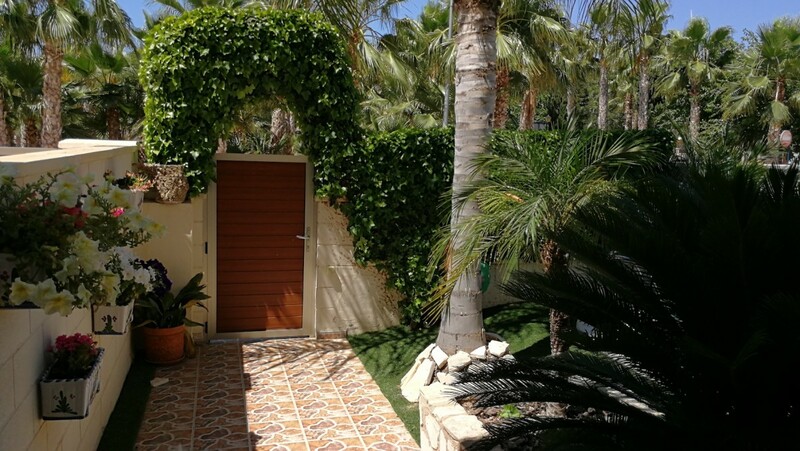 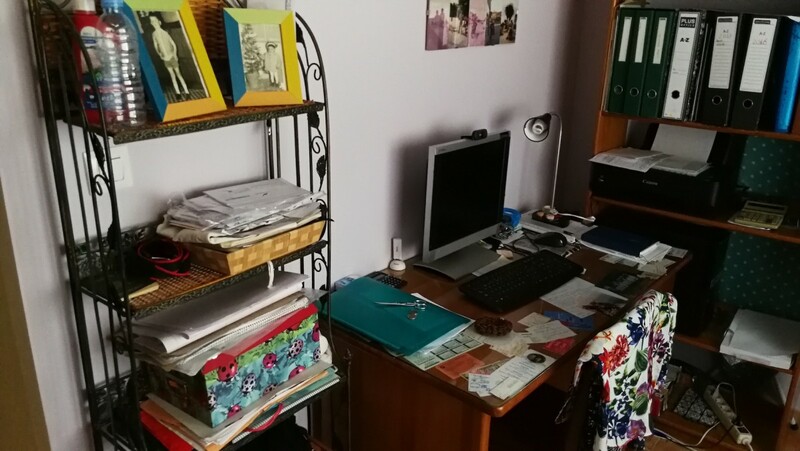 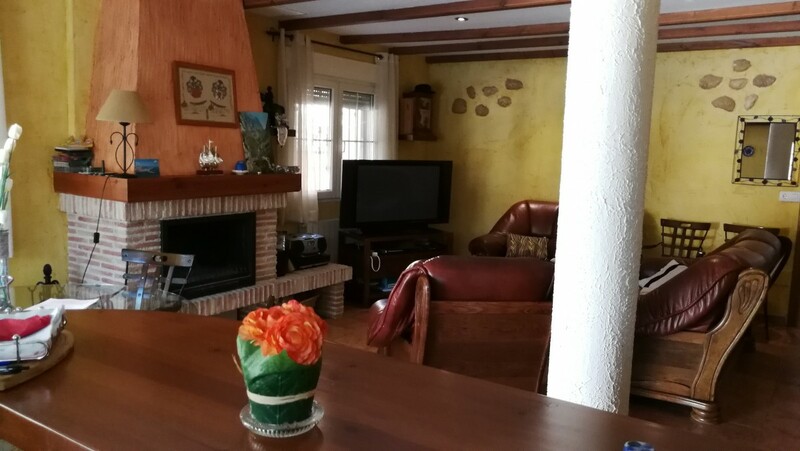 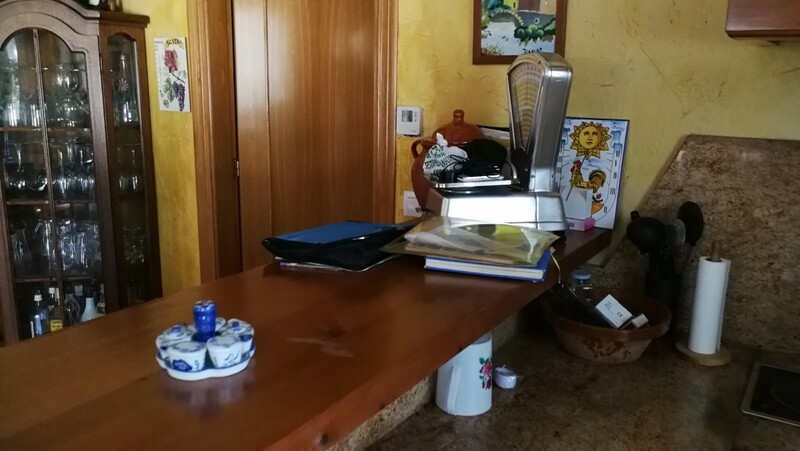 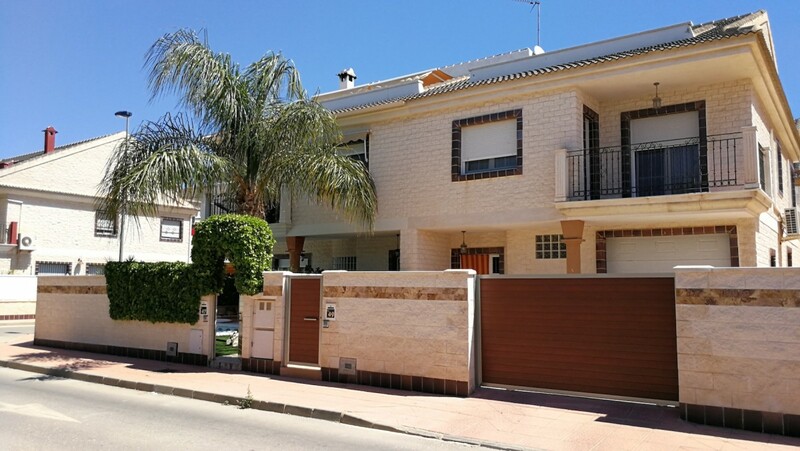 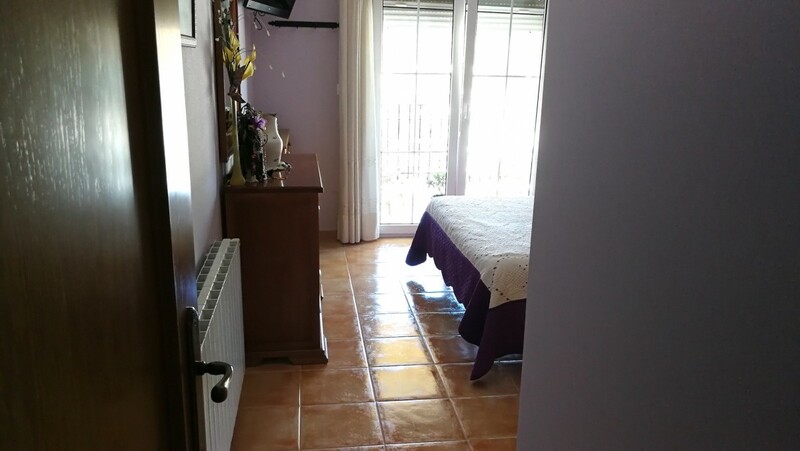 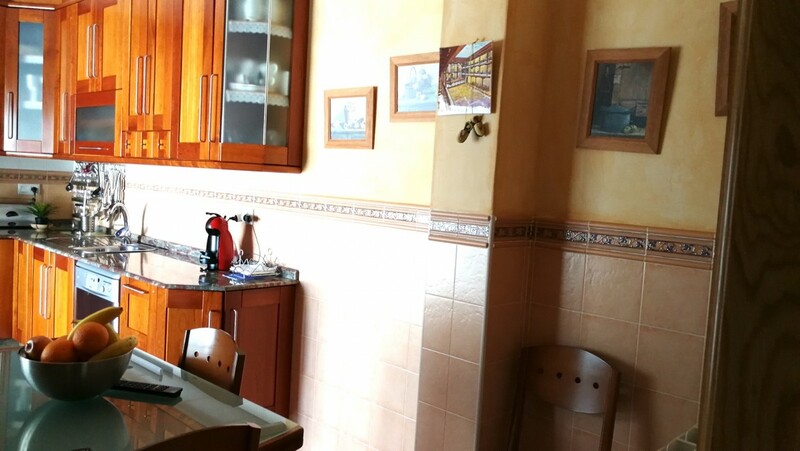 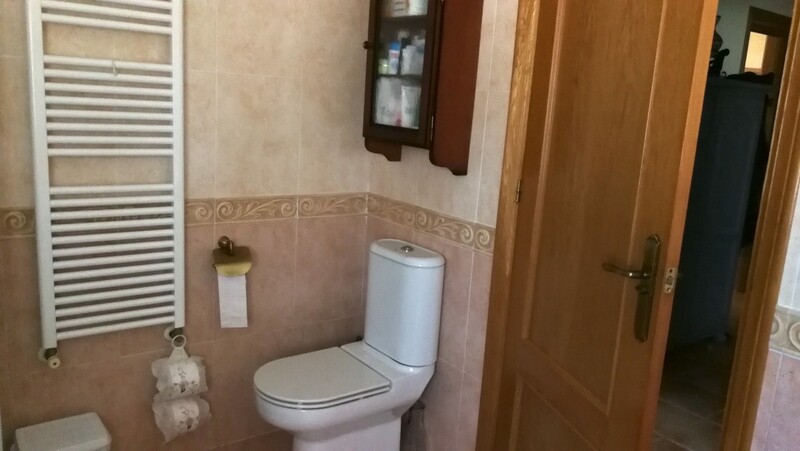 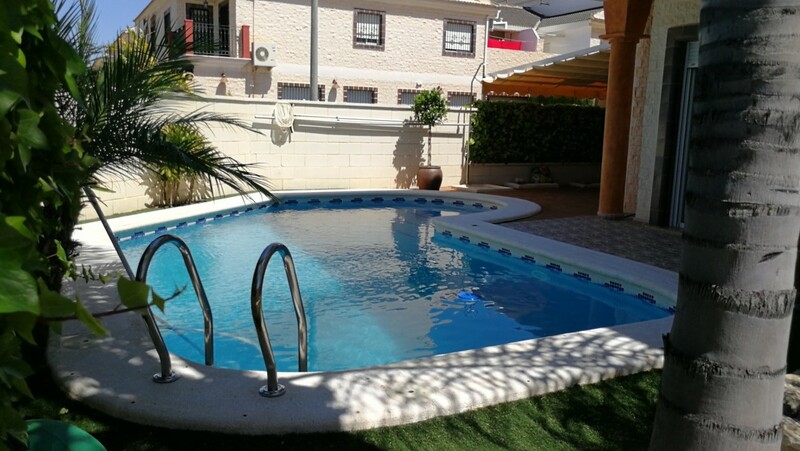 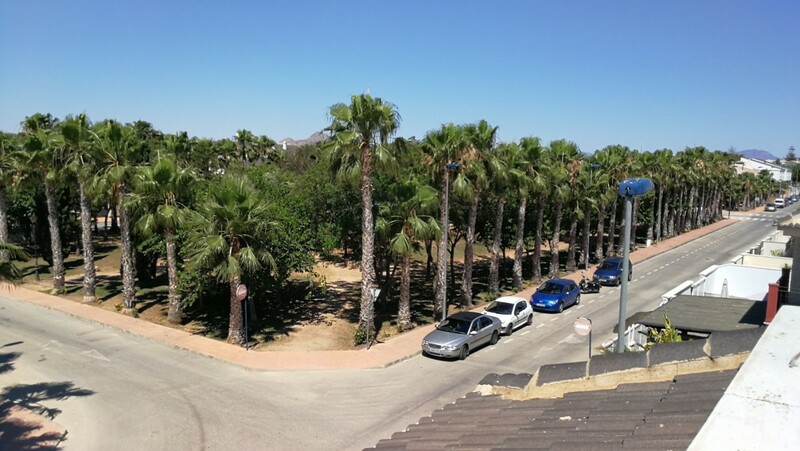 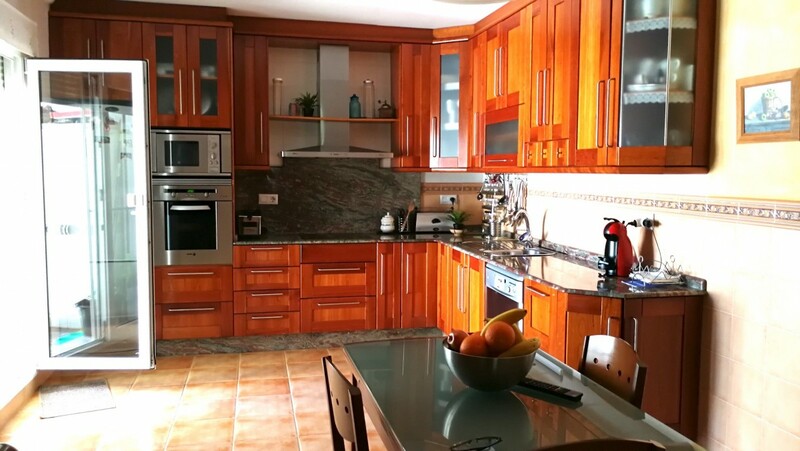 Close to school and kinder garden, restaurants and bars, public library (1000 m2), Sport University, hospital (300 beds), beach of San Javier (2,5 km). 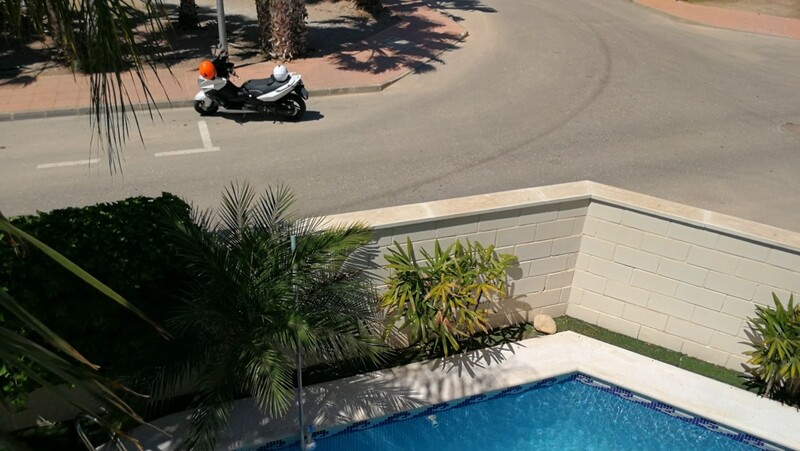 Zenia boulevard is only 20 min by car. 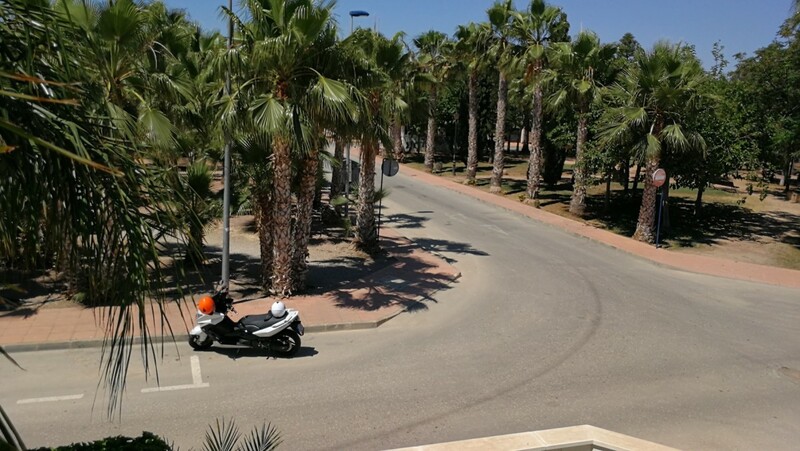 San Javier has a main population centre and ten smaller villages, of which two are located by the seashore. 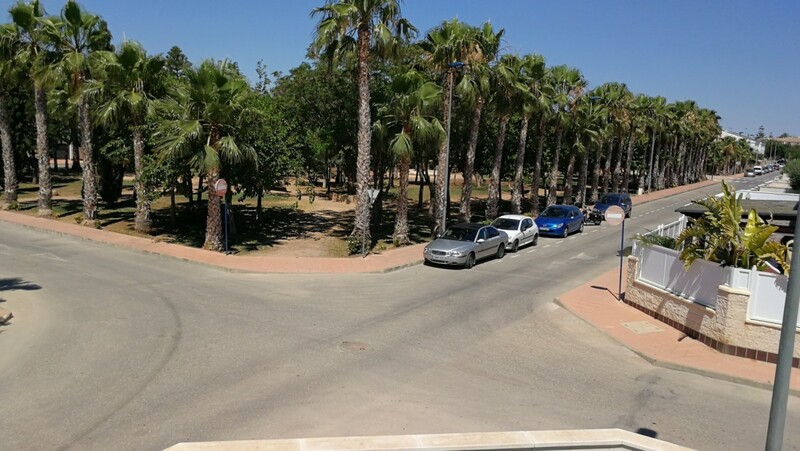 San Javier is a small town which is known all over Spain because the Spanish royal family has some tight links to this region. 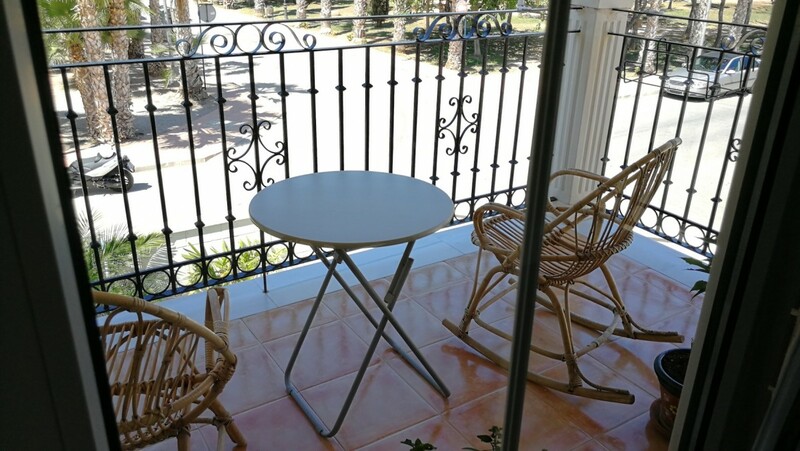 This typical Spanish town has lovely beaches and harbours bars, restaurants and many shops that are popular throughout the whole year.